hem spending most of the day in eating. Their favorite food is acacia tree. Giraffes don’t need much amount of water because they get most of the water from the leaves they eat. This is good for them because giraffes have to bend down to drink water which makes them vulnerable to attack from lions and other hunters. Giraffes can run at a top speed of 55 km/h. they run in a similar way as other mammals do, by swing their front and rear legs. Giraffes have good eyesight and with their great height, they get a good view of territory around them. They have the sleep time around two hours. Giraffe’s babies are called calves and at the time of birth their height is around 2 meters and weigh 70 kg. Newborn babies are very vulnerable so their mothers try everything to protect them from predators. Their growth rate is fast, they can grow 2 inches in a day. Giraffes currently are not endangered. 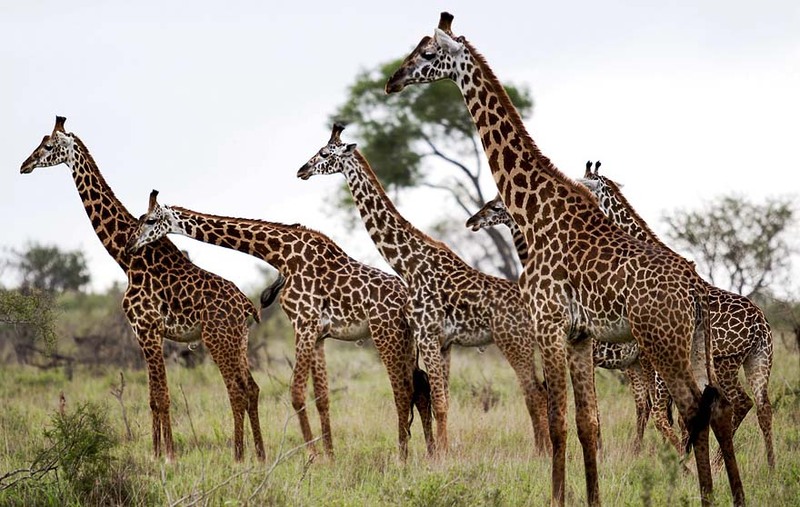 There are 100,000 giraffes living in the wild. Abdul Wahab, "Giraffe," in Science4Fun, April 13, 2019, http://science4fun.info/giraffe/.